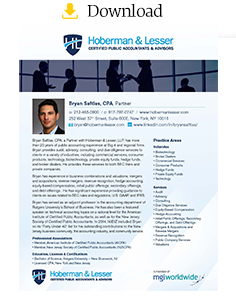 Bryan Saftlas, CPA, a Partner with Hoberman & Lesser, LLP, has more than 20 years of public accounting experience. Bryan provides audit, advisory, consulting, and due diligence services to clients in a variety of industries, including commercial services, consumer products, technology, biotechnology, private equity funds, hedge funds, and broker dealers. He provides these services to both SEC filers and private companies. 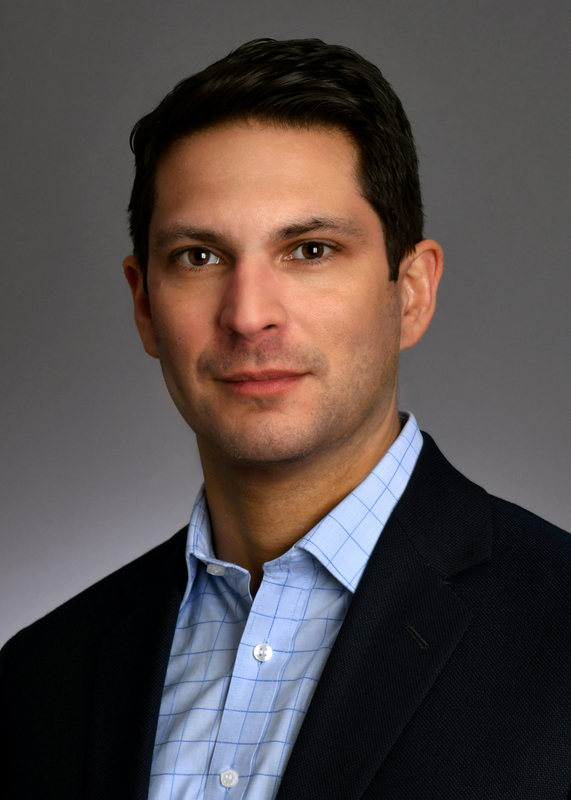 Bryan has experience in business combinations and valuations, mergers and acquisitions, reverse mergers, revenue recognition, hedge accounting, equity-based compensation, initial public offerings, secondary offerings, and debt offerings. He has significant experience providing guidance to clients on issues related to SEC rules and regulations, U.S. GAAP, and IFRS. Bryan has served as an adjunct professor in the accounting department of Rutgers University’s School of Business. He has also been a featured speaker on technical accounting topics on a national level for the American Institute of Certified Public Accountants, as well as for the New Jersey Society of Certified Public Accountants. In 2014, NJBIZ included Bryan on its “Forty Under 40” list for his outstanding contributions to the New Jersey business community, the accounting industry, and community service.